Specialists in handling MICE & Tour Operation. Creativity and attention to details is their motto with the highest standards of excellence. 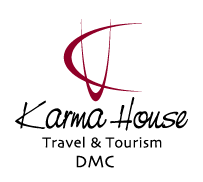 Established with an energetic and professional young team who gather over 30 years of experience in the travel business, devoted and willing to go the extra mile to ensure your clients will have a truly memorable stay in Jordan.